Have you ever wondered how that lush, green, Manderley turf came to be? We asked our experts and got the full story on how we get from seed to sod. First thing’s first, you have to start off on the right foot. Soil conditions play a key role in the success of the grass growth. The pros refer to it as “soil tilth”. Tilth is the soil’s physical condition, particularly in terms of the movement and availability of air and water, in relation to its suitability for growth. The goal of the soil prep is to get the soil as fine as possible with proper tilth to grow the grass. Since grass seed is small the soil has to be fine to ensure it germinates. Having clumps of soil will not allow for seed development. When the soil bed is ready to go, it is seeded, rolled, and voilà! Now, we sit and wait. It can take bluegrass up to 28 days to germinate. What’s that saying; “a watched pot never boils”? Two or 3 days after germination the blades of grass will start to broaden and get bigger. Depending on where the grass is being grown, around the 4 to 6week mark weekly mowing begins. Once the grass hits its 3-month anniversary, the frequency of mowing increases to around every 3 days. Fertilizer that’s high in phosphorus is also applied continuously every 3 to 4 weeks during the growing season to promote root growth. Getting the sod from seed to harvest takes at least a year and sometimes as much as two years depending on weather conditions and on how strong and well knitted the root system is. Turfgrass craves moisture and humidity, so those hot, dry summers may be great for beach days, but tough on the grass. When dry summers hit, all grass requires irrigation to keep it active and thriving. Fortunately, Manderley Less Water Sod is Canada’s first qualified drought-tolerant sod. With superior drought tolerance, Manderley Less Water can reduce watering requirements by up to 50% when compared to conventional sod. Because of this, we don’t even have irrigation at our farm in Ontario. And irrigation in our Alberta locations only helps to ensure we can get our sod to you, quicker! Regardless of the summer weather, here in Canada, grass goes dormant (often mistaken as dead) when winter weather shows up and comes back to life again in the Spring. We call this green up! Once winter is over and the grass has had a chance to green up, specialized automated machines are used to cut and harvest the sod. Contrary to popular belief, harvesting is done on demand. 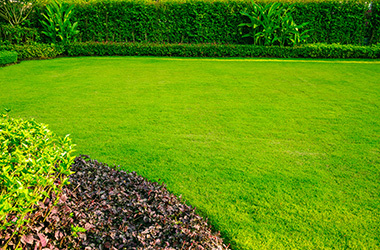 The reason being, once sod is delivered it needs to be installed and watered immediately. Newly installed sod should be mowed within a week or two of installation. Pro tip: When you pull at the blades and they don’t lift, it means your root system has established and you can start mowing. The more you mow the more the roots want to grow! When sod is cut, very little root system is taken with it. 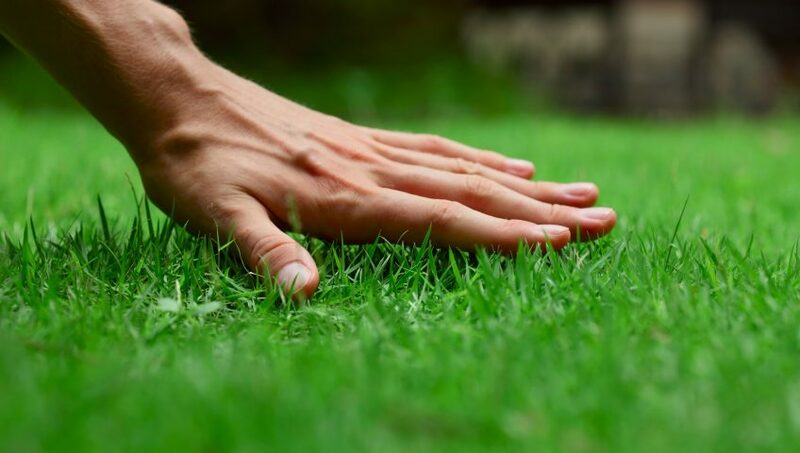 By watering enough to soak the soil 4 inches below the sod, the roots will start searching for the water beneath the surface and establish a strong root system for your new lawn.